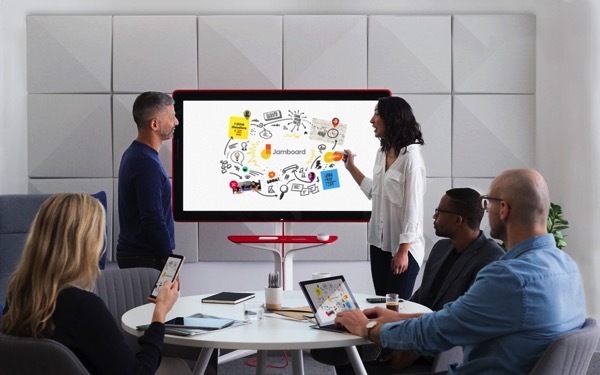 Google has today unveiled its brand new product called Jamboard, a cloud-connected digital whiteboard that makes it easy for teams to share ideas in real-time and create collaborative content without any boundaries (via Engadget). 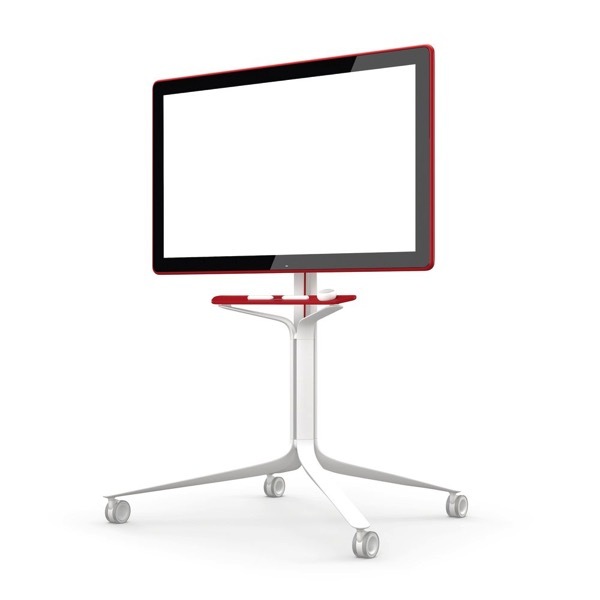 The Jamboard is a 55-inch 4K display that you can use like a typical digital whiteboard and sketch out ideas with a stylus in a small conference room full of coworkers, with an added benefit of cloud connectivity. According to Google, whatever you draw on the device, which Google refers to as your “jam”, gets saved to your Drive folder automatically. You can pull in work from Docs, Sheets and Slides, or add photos stored in Drive. To help you capture your ideas easily, Jamboard is packed with tools like sticky notes and stencils as well as intelligent features like handwriting and shape recognition. Remote teams can also use their own Jamboards to tune and contribute to your sessions as if they were right next to you. You can also pipe your jam to a Hangouts call, allowing you to potentially broadcast it to the world. And there are companion apps for Android and iOS that allow colleagues anywhere in the world to follow along. If you have an iPad or Android tablet, you’ll be able to take advantage of all of the editing tools available to Jamboard devices. Phone collaborators, on the other hand, will be able to see everything going on and input data.